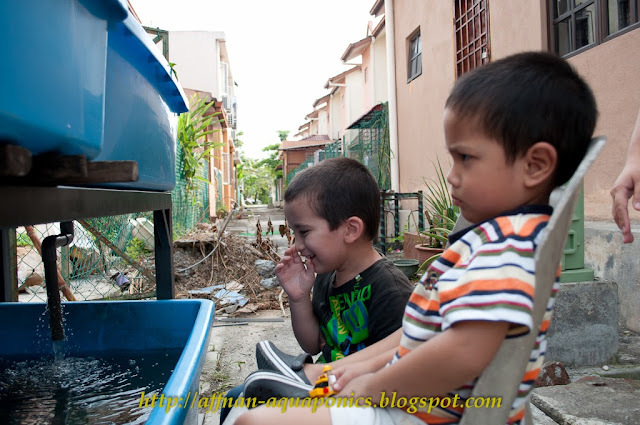 Amir with Haris enthusiastically looking at Tilapia in the breeding tank. 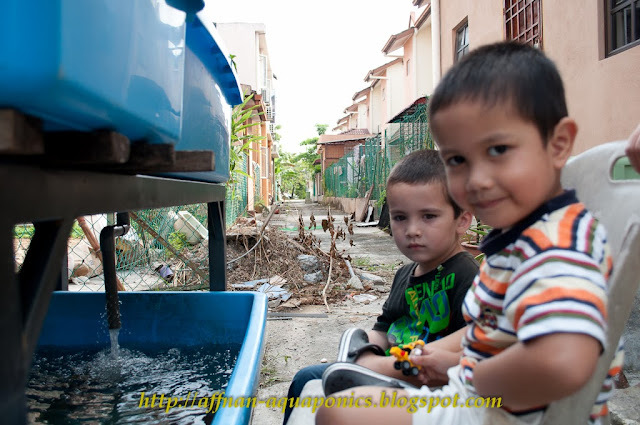 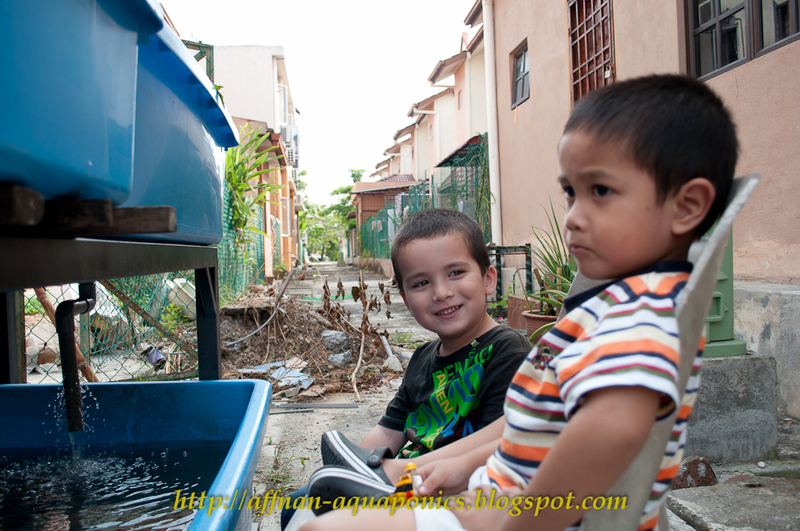 Haris parent's house is behind mine, we share the same alley. Haris probably trying to cheer him up.